COLORADO SPRINGS, Colo. -- From side braids to "Capitol" fashion and makeup, "The Hunger Games" franchise has influenced teen culture in numerous ways, but staggering growth statistics from USA Archery show that the sport of archery could be the biggest winner of all. 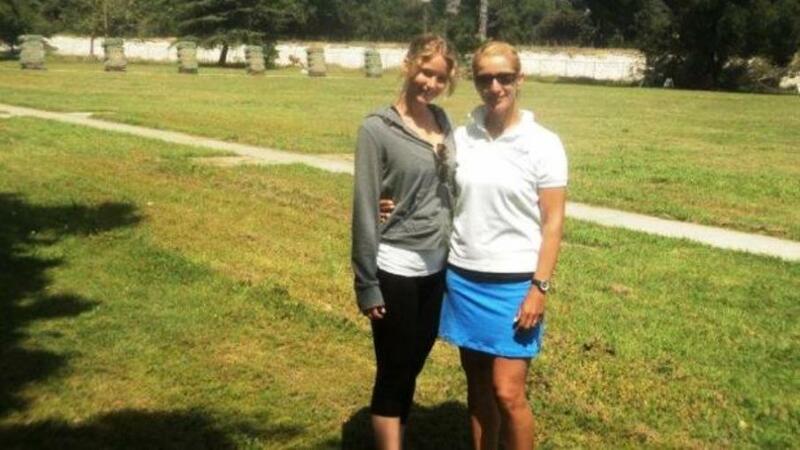 After all, archery's relationship with the mega-popular film goes back to 2011, when five-time Olympian Khatuna Lorig coached actress Jennifer Lawrence, helping the star prepare for her role as Katniss Everdeen. USA Archery, which is the National Governing Body for the Olympic sport of archery, has been tracking event participation and membership since four months prior to the release of the first "Hunger Games" film. On the eve of the "Catching Fire" premiere, one thing is clear: archery's popularity is surging, and the sport is showing sustained growth that continues to impress. The organization's individual membership has skyrocketed from 4,185 individual memberships as of November 2011 to 8,589 as of November 2013 -- a 105 percent increase in two years. That growth has remained consistent between 2012 and 2013, as well: in the past 12 months, individual membership has increased 54 percent. USA Archery clubs, which offer ongoing archery programming and competitive opportunities for youth and adult archers, have seen major growth as well. Instructors at Junior Olympic Archery Development (JOAD) and Adult Archery clubs have noted increased demand for lessons nationwide. Archers are also participating in tournaments in larger numbers than ever before. USA Archery's National Indoor and JOAD National Indoor Championships saw a 31 percent increase in overall participation from 2012 to 2013, and a 34 percent jump in youth registrations alone. The organization's National Target Championships and Easton JOAD Nationals, a combined outdoor national championships event traditionally held in July, also had a 31 percent participation boost from 2012 to 2013. Other national events have seen similar gains. "We definitely attribute much of this growth to 'The Hunger Games' films, along with movies like 'Brave' and 'The Avengers,' ” said USA Archery CEO Denise Parker, a three-time Olympian and Olympic bronze medalist herself. "Given that archery was also the most-watched sport during NBC's first week of Olympic Games coverage, we're hopeful that people who see and try the sport will find out what archery fans already know: it's an awesome sport, fun and challenging, and one that you can enjoy year-round and for the rest of your life." Most recently, USA Archery has addressed the surge in sport interest by increasing its efforts to train and certify more instructors and coaches, as well as supporting the development of JOAD and Adult Archery Program clubs across the United States. The organization is also participating in "Release Your Wild," the first-ever nationwide archery marketing campaign, funded by the Archery Trade Association. The ATA, archery's industry trade group, has assembled a host of manufacturers, membership organizations and other supporting partners to harness the excitement around movies like "Catching Fire" and help direct archery interest. For more information on archery, or how to get involved in the sport, visit usarchery.org - or connect with USA Archery on Facebook, Twitter, Google Plus, YouTube and Instagram.